Quality Assessment Laboratory (QAL) is one of the oldest division of Fragrance & Flavour Development Centre which has been constantly endeavoring since 1991 to assist the Aroma Industry in their quality improvement activities by providing consultancy, testing, quality assurance & other related services. 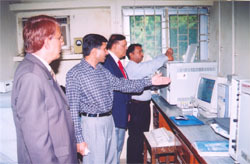 The lab has been accredited with NABL (National Accreditation Board for Testing and Calibration Laboratories) since 1999. In addition to the above services it is also engaged in providing the training in quality assessment of essential oil to the staff & executive of the companies and industry. 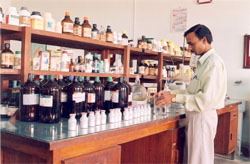 The laboratory is capable of undertaking testing of various essential oils and aroma chemicals. Setting of a quality assessment laboratory for essential oils and aroma chemicals including designing of the lab, identification of chemicals, glasswares, instruments and standards required for the lab. Consultancy for the specific criteria like development of specific test for particular problem. Consultancy services to decide the priority of items on different reports. Consultancy Services for the stock verification and assessment of their quality. The laboratory extends the necessary help to the industries in all technical assistance and facilities available with the laboratory. It provides training in Quality Assessment of Essential Oil & Aroma Chemicals.